There are many ways to involve churches in your ministry. 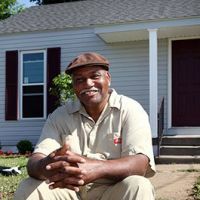 Fuller Center of Louisville Executive Director Steve Marrillia has forged productive relationships with many churches, especially in the areas where The Fuller Center builds and restores homes. The latest project is with Southeastern Christian Church, which is working to renovate vacant houses to become homes for its congregants, including an associate pastor. Click here to read an article about that project. To hear Steve explain his thoughts on helping Christians populate the community around a church, click here to see a video. Pilgrim Baptist Church is just a short walk up the street from the site of the first Lind-A Hand build and was happy to provide lunches and dinners for the dozens of volunteers in town. They recognized that the neighborhood has been utterly transformed by The Fuller Center’s work. Many Fuller Center build sites have benefited from the generosity of local churches willing to organize some of their talented cooks to help fuel the work in their community. And each time the churches insist that it’s not a burden at all but rather a blessing for them to have what they see as an easy way to be a part of our work. Of course, while they may see it as "easy," we see it as crucial … and usually delicious! 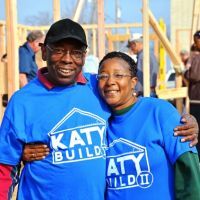 Two years ago, Asbury United Methodist Church of Bossier City, Louisiana, and the Northwest Louisiana Fuller Center for Housing teamed up to honor the memory of Katy Watkins with the Katy Build, helping a formerly homeless couple get back on their feet. A second house was constructed in 2014, further honoring the memory of Watkins, who died in a 2006 car crash with two classmates. First Baptist Church of Bossier City and Simple Church have seen how this has strengthened Asbury’s congregation and have joined in this year’s Katy Build that also will honor Emily and Molly. Click here to view a report from KSLA-TV. 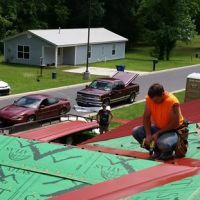 When some people think of the Fuller Center’s U.S. Builders program, they may think first of college students spending a spring break serving others. But many church groups also participate as U.S. Builders. This reinforces to churches in your own area how this is a true Christian mission as they see churches come from far away to help. It also can inspire local churches to follow in their footsteps and also offers them a chance for fellowship with Christians from other places. 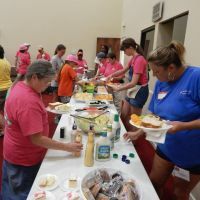 Maybe you can even make a cross-country connection like in Webster Parish, Louisiana, where Loomis United Methodist Church of Loomis, California, has been coming every year since 2006. 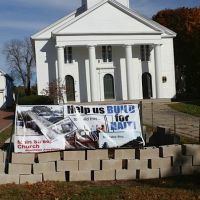 When Main Street Congregational Church, a United Church of Christ affiliate in Amesbury, Massachusetts, was raising money to sponsor a Fuller Center house in Haiti, they sold blocks and steadily built a replica of a house on the front lawn for everyone to see. The new Perry Georgia Fuller Center converted an old dollhouse into a money collection box so that Crossroads United Methodist Church Vacation Bible School attendees and parents could see donations pile up for their community. If you can’t get a church to help your covenant partner through their missions budget, perhaps you can find a fundraiser that they could embrace.